All branches of the United States military maintain regulations that govern dating, and any fraternization, among both officers and enlisted soldiers. Since 1984, improper fraternization has been recognized as a punishable offense. The guidelines regarding dating vary depending upon rank, but apply regardless of gender or direct lines of command. As well as regulating dating, the U.S. military also has regulations regarding marriage among officers or enlisted soldiers. Military regulations chiefly regulate against dating between two soldiers of different ranks. The U.S. Army, Navy, Air Force and Marines all have regulations in place prohibiting this activity as a kind of fraternization. Military policy in all branches prohibits all kinds of fraternization between soldiers of different grades; while the prohibited relationship is officer/enlisted solider, it also applies to any two different grades of soldier. Whether or not they are in a direct line of command is immaterial. Examples of fraternization include going to one another’s private homes or to clubs together, dating, sexual activities or any kind of favoritism. The senior ranking officer in such situations is considered to have greater ability to promptly discontinue any behaviors in breach of policy, but both soldiers are considered equally accountable. 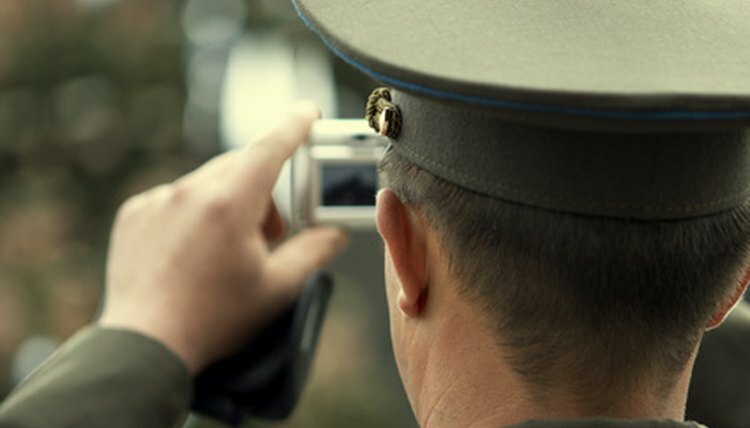 In addition to cases of relationships between soldiers of different ranks, fraternization between trainees and soldiers or between recruiters and recruits is also prohibited. When dating takes place between soldiers of the same rank or between a solider and a civilian employee or government contractor, military regulations only prohibit those relationships which directly affect morale, discipline, respect for authority or otherwise interfere with a mission. Dating is subject to the same scrutiny as any other form of fraternization. As such, it must reflect professionalism and cannot engender any favoritism or abuses of position. While marriage is not specifically prohibited, the marriage of two soldiers of different ranks can constitute fraternization if the soldiers’ duties are evidenced to be compromised by the union. Should improper fraternization eventually result in a marriage, any improper fraternization prior to the marriage is still accountable to regulations and not “excused” or mitigated by the ensuing marriage. Should two soldiers of the same rank be married and one of them receive a promotion, all precautions will be taken to avoid putting them in a direct line of command. Fraternization prohibitions can apply to any two soldiers of differing ranks and wherever an instructor/student relationship is present, even within a particular group. However, some exceptions to the prohibitions exist, and fraternization between certain groups is considered acceptable. These divisions include general officers, field grade officers, company grade officers (including warrant officers), staff non-commissioned officers and junior officers. Hill, Danielle. "Military Laws on Dating." , https://legalbeagle.com/6686140-military-laws-dating.html. Accessed 22 April 2019.